A view from the Taj Mahal Continental Hotel's revolving rooftop restaurant in central Manaus, Brazil. Manaus is a city in Northern Brazil that is expanding into its surrounding rain forest. 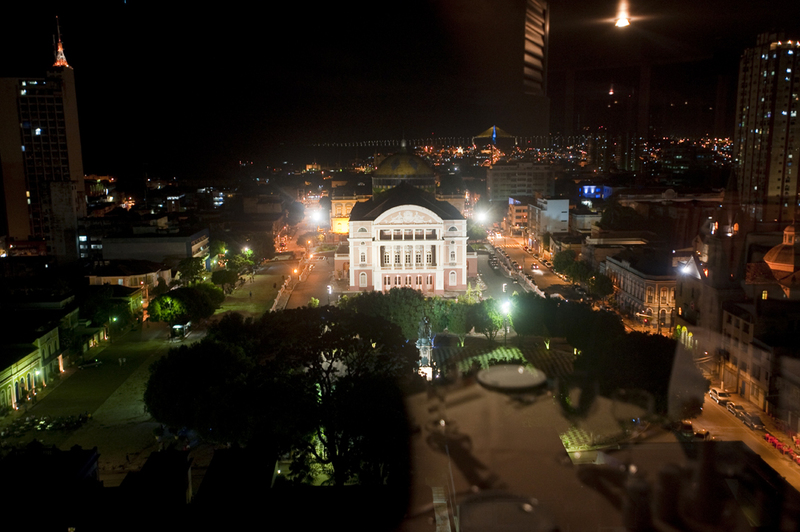 In the center, is the Teatro Amazonas opera house in Manaus which was built in the 1890s during the city's rubber boom. Photographed on Wednesday, March 14, 2012.